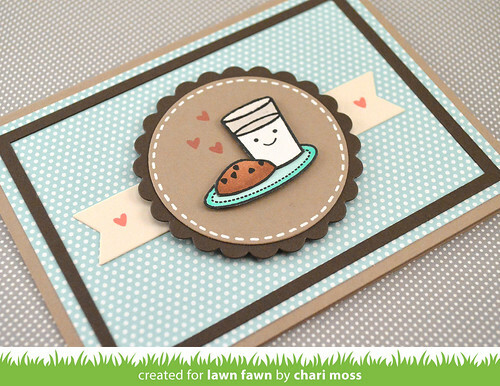 Today on the Lawn Fawn blog you can see a peek at some new winter sets coming out in August. I have a few cards to share with you using two of these new sets. First up Critters in the Arctic! I love all the animals included in this set, the narwhal is adorable! I colored the walrus and iceberg with colored pencils, blended with gamsol. 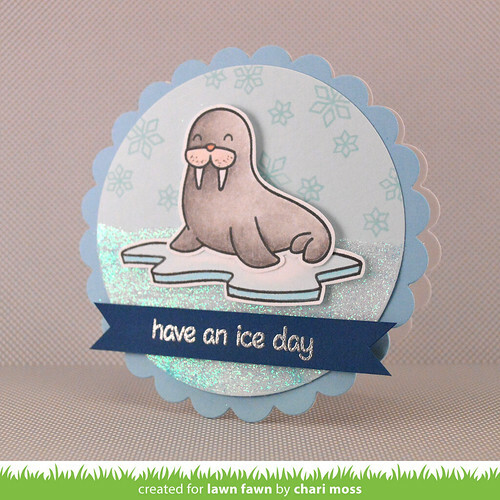 To create the "ice" I covered the bottom half of the light blue card stock circle with transparent embossing paste then sprinkled iridescent white and blue glitter over top. The sentiment is embossed in silver to for a little more icy shine. 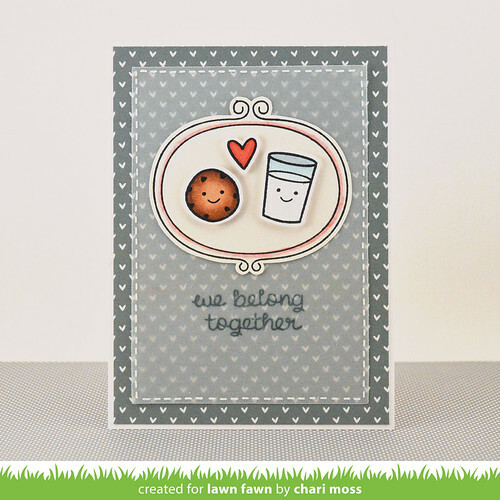 I used the sweet frame from Sweater Weather to place my little milk and cookie in. I colored them with copic markers and used the grey heart paper from Let's Polka to cover my card base. 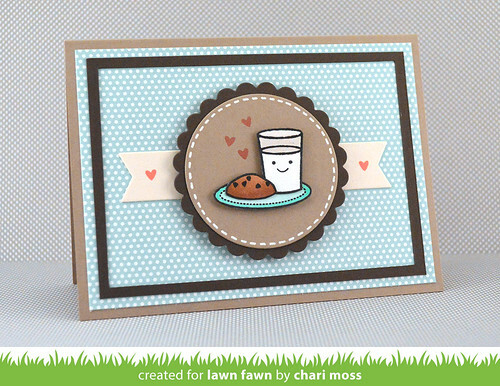 For my other card I went with one of my favorite color schemes, chocolate browns and light blue. I used the circles and scalloped circle stackables to make my frame and used the banner from the 3x4 stitched journaling card to tuck behind. So cute! :) This little set makes me happy. Thanks for stopping by today. Be sure you check out today's post on the Lawn Fawn blog to see more of the new winter sets coming soon, including the a new coffee set that I just adore! Check it out, you won't be disappointed. Oh and did you know you can comment on all the posts this week on the Lawn Fawn Blog to possibly win it before you can buy it? How awesome is that! 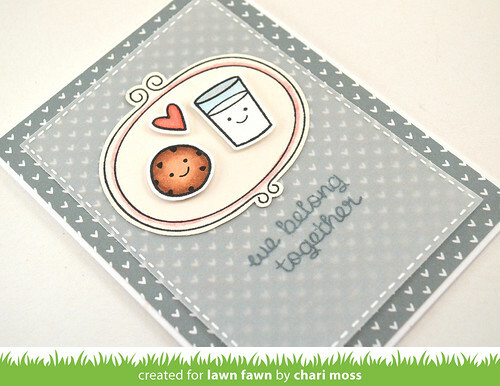 Love your cards - the color combos are wonderful!